Tuesday 24th October, 3 to 5pm, Palace of Westminster. Speakers to include Kinda Haddad of Airwars, Ikbal Ben Gaied Hassine of People Demand Change, Rana Khalaf, fellow with the Centre for Syria Studies, University of St Andrews. Chaired by Alison McGovern MP, co-chair of the APPG Friends of Syria. September 23rd 2017 marked the third anniversary of the US-led Coalition’s war on ISIS in Syria. This was yet another military intervention in the wider Syrian civil war in which a complex web of local, regional and international powers were already involved. To begin with, the Coalition was one of the less bloody participants. However in the last few months the reported casualty count has climbed steeply, leading to mounting anger on the ground against Coalition partners. Accusations of butchery and war crimes (which as monitors, we used to repeatedly see levelled at Russia and the regime) are now routinely being levelled at the Coalition. Local monitors are all in agreement that there is a problem. 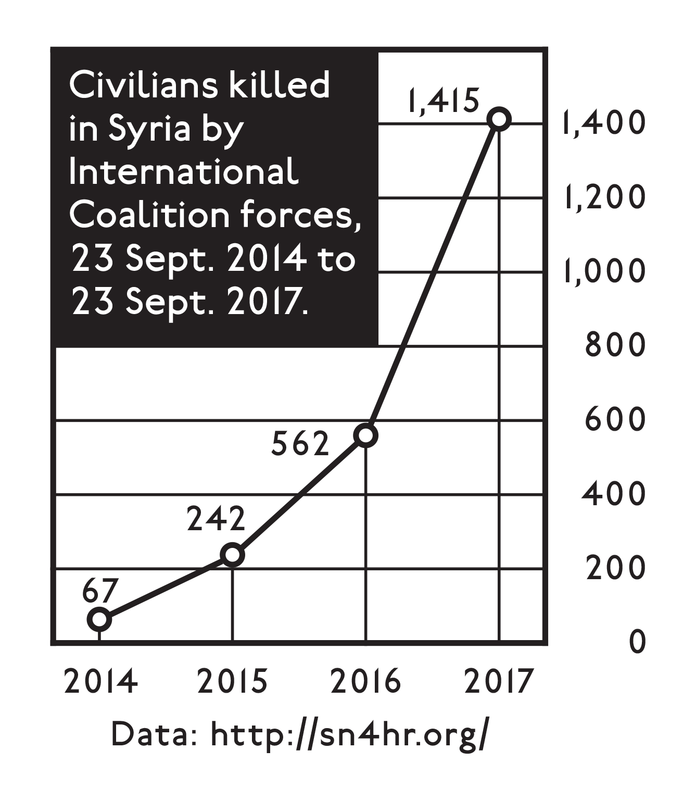 The Syrian Network for Human Rights recently published figures for civilian casualties caused by the International Coalition, and at a glance we can see the rise in reported civilian casualties year on year. 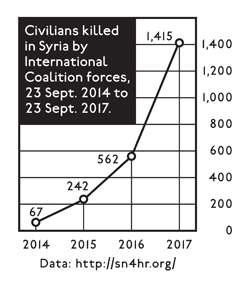 By Airwars’ own count, civilian deaths caused by Coalition military actions across the whole of Syria in August alone were between 464 and 713 civilians. The vast majority of those, casualties were in Raqqa. This high figure is partly explained by several large scale casualty events: on August 1st for example, between 10 and 50 civilians including three families reportedly died with dozens more wounded in an alleged Coalition airstrike on the Al Bousraya area of Raqqa city. Raqqa is Being Slaughtered Silently reported that the Coalition struck a building holding 50 civilians. Among those killed were Hamada Al-Saeed Al-Hamzawi and three members of his family, along with Ibrahim al-Kaba (Abu Muhannad) and his wife. The activist Ahmad Al Shibli later added that the bodies of four members of the al A’jali family were recovered from the rubble. 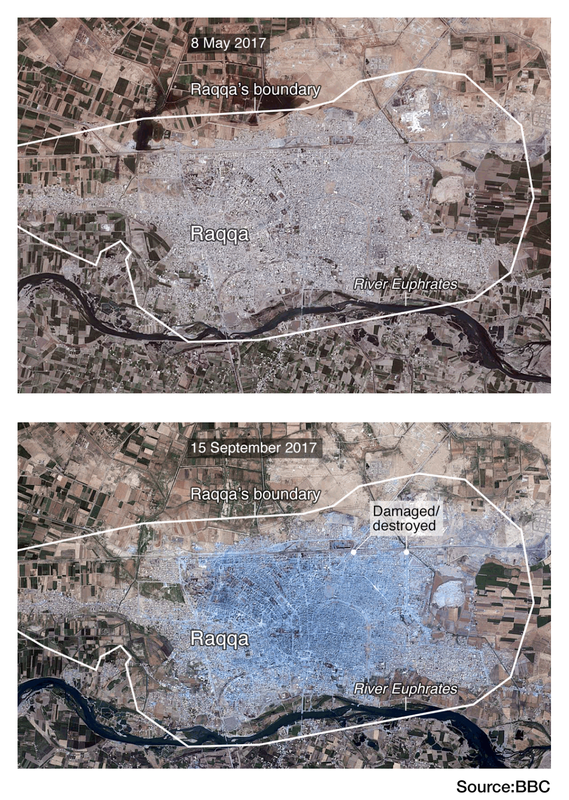 Raqqa’s Bedo neighbourhood also came under repeated and increasingly ferocious fire. On August 20th, between 23 and 50 civilians reportedly died in what Step News referred to as ‘one of the largest massacres since the start of the battle.’ Multiple local sources blamed Coalition strikes for hitting a residential building near the Na’im roundabout. Raqqa is Being Slaughtered Silently named 30-year-old Met’eb Al-Hammoud and 26-year-old Ziad Fawaz Hindawi as victims. There was no respite for residents of Bedo neighbourhood. On August 21st more civilians reportedly perished in alleged Coalition airstrikes. According to the Syrian Press Centre, a residential building was again hit and completely destroyed. The Syrian Observatory for Human Rights said the victims included 19 children and 12 women. 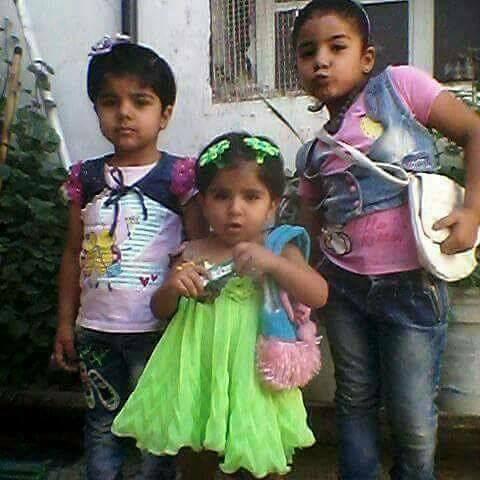 Local sources named three girls, Ritaj, Islam, and Hadeel from the Abdul-Sultan family among the dead. This grisly list of massacres is sadly not unique, though they receive little attention from our own media and politicians across the spectrum. If we don’t believe these reports coming from the victims’ families and communities on the ground,then we can at least acknowledge the Coalition’s own official data. This shows, for example, that there is an almost perfect synchronicity between the levels of munitions dropped and the levels of casualties reported. In July, munition use and likely civilian casualties from Coalition strikes in Raqqa fell by 32% and 33% respectively. In August both munition use and reported casualties rose steeply again. On average one Coalition bomb, missile or artillery round was fired into Raqqa every eight minutes during August, according to official data provided to Airwars. A total of 5,775 bombs, shells and missiles were launched by US-led forces into the city during the month in support of Syrian Democratic Forces (SDF) on the ground. By way of comparison, US-led forces fired ten times more munitions into Raqqa during August than were released by US aircraft across all of Afghanistan for the same month (503), according to recent data issued by Air Force Central Command (AFCENT). The Coalition’s own numbers also show that more than half of all admitted civilian fatalities since 2014 have occurred this year. And more civilians are also dying on average in every admitted incident. Aside from the named victims, their photos, and multiple eyewitness accounts emerging from Raqqa, there is stark physical evidence of the effects of our bombing campaign as illustrated by countless photos of wrecked neighbourhoods posted on multiple media and social media outlets. 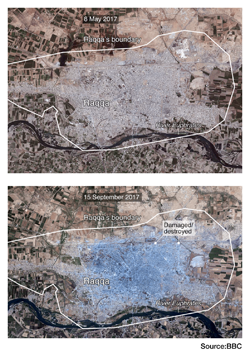 Satellite images recently published by the BBC of Raqqa city in May 2017, before the assault began, and another one in mid-September 2017 shows that most of the city apart from a small section in the east and another in the west has been damaged or destroyed. And yet despite the mounting evidence, to October 1st the Coalition continues to insist it has killed four civilians and injured three in the entire three months campaign on Raqqa. According to local monitors, the real tally is at least 1,000 slain. Yet people on the ground no longer listen to what we say, but to what we do. And what we do spreads very fast on multiple news sources and social media outlets. Some of it is propaganda, but plenty of it is troublingly credible. Repeated denials by ourselves and our Coalition partners only reinforces the impression that we care so little about those we kill that we easily dismiss them—unless it is of benefit to us. When reports emerge of Russia and the Assad regime killing civilians we—rightly—condemn and protest those deaths at the highest levels. Yet when these exact same sources report civilians killed by the Coalition, of which we are an integral part, we are silent. ISIS is an evil that has made many Syrians and Iraqis suffer unspeakable horrors, ones we can only imagine. Crucially however, they are no match for our military force. There is little doubt that we will win this war on the ground. However we must never forget that this, above all, is an ideological war, in which to be the victor we need to be better than the enemy. We need to have superior strategy, brains, plans and ideas that clearly and explicitly put at the front and centre the safety of the civilians on the ground. And crucially we must be credibly seen to be doing that.